In PANJIT all working processes are certified by ISO / TS-16949, ISO-9001, ISO -9002, ISO-14001, QS-9000, OHSAS-1800, SA-8000, RoHS and all end products meetr all necessary international requirements for quality and safety. In the catalog of PANJIT INTERNATIONAL you can find the ESD / EMI filters, MOSFET for high and low voltage Schottky diodes, PIN diodes, zener diodes, and various other electronic components, including those used in electronic systems of modern cars. 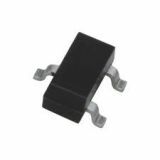 VIKIWAT Ltd. is a wholesaler and retail, as well as a direct importer of semiconductor components and accessories from different manufacturers in the industry. 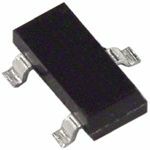 In our offline and online stores you can find a wide range of diodes, transistors, Schottky diodes, power diodes, varistors, bridge rectifiers, capacitors, triac, pptoelectronics and many others with low prices and fast delivery. List Price 0.15лв. VAT Incl. 0.12лв. VAT Incl. 0.10лв. VAT Incl. 0.07лв. VAT Incl. 0.06лв. VAT Incl.